Discussion in 'iPhone and iPad Games' started by TouchArcade Bot, Feb 19, 2016. Travel among the stars, explore planets, discover new animal species and ancient monoliths, build your own space station, encounter aliens, trade and combat in an infinite procedurally generated universe ! 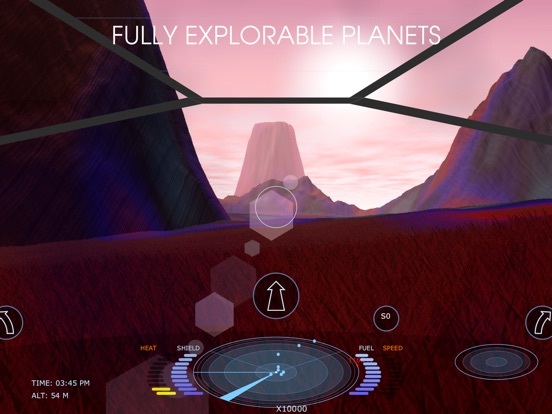 Stellar Horizon is a game about exploration and survival. Starting with only a small starship and a few credits, do whatever it takes to earn skill, knowledge, wealth and power. 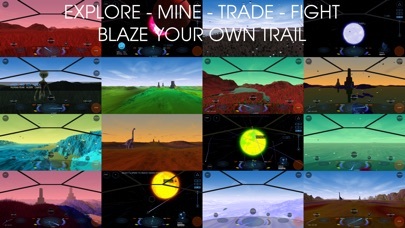 Trading, hunting, mining, exploration : how you play Stellar Horizon is up to you. A TRULY OPEN UNIVERSE You can fly seamlessly from the surface of a planet to another, and every star in the sky is a sun that you can visit. Where you’ll go and how fast you’ll make your way through this universe is up to you. 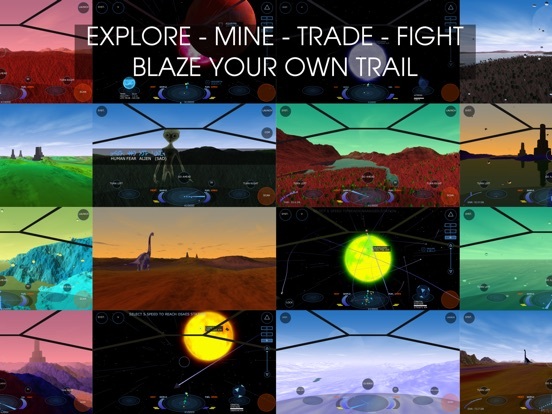 BUILD FOR AN EPIC JOURNEY Whether you want to explore and see things never before discovered, or directly find the best trade routes, how you play Stellar Horizon is up to you. 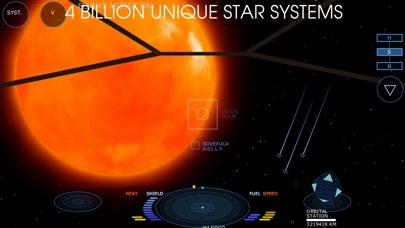 Explore and map new star systems, earning yourself recognition and credits. Help rebels overthrow an oppressive regime or a government put down a rebellion, working as a gun-for-hire or assassin. Trade and influence the commodity market prices. Buy your own spatial stations and become an entrepreneur! Complete geographic missions, or analyse vegetal/water samples from different systems to become a renowned scientist! Discover new animal species, or learn alien language to communicate with local inhabitants! Build your own base on a beach, on your favorite planet! 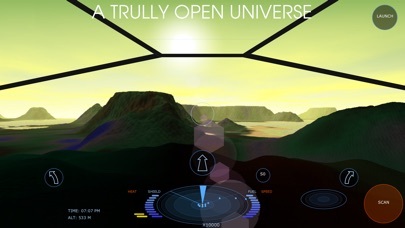 Discover wormholes that allow you to reach thousands light years distant systems! 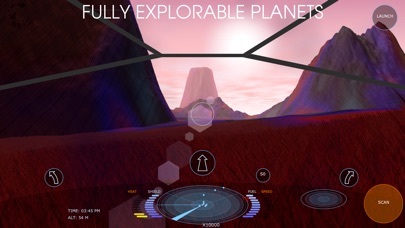 Discover new planets and enjoy gorgeous landscapes : every planet is different from the next. Find ancient monoliths that could reveal the secrets behind the universe... 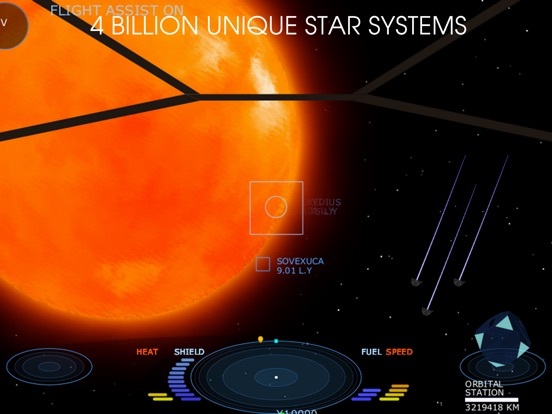 Explore giant bunkers, and find legendary items 4 BILLION STAR SYSTEMS. INFINITE FREEDOM. BLAZE YOUR OWN TRAIL. *************************************************************** *************************************************************** What is procedural generation ? Core to Stellar Horizon is that its virtual galaxy, including the stars and planets, are all created through random procedural generation using deterministic algorithms. A single seed number is used to create these features via mathematical computation thus eliminating the need to create each of these features by hand. 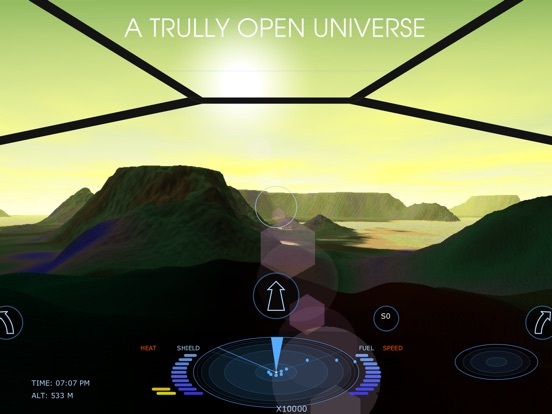 This enables the game to have a massively open nature: it is estimated that with the 32-bit seed number, Stellar Horizon virtual galaxy will include over 4 billion planets. Any player will be able to visit a specific planet once they know its galactic coordinates, given their spacecraft has the capability to do so, and find the same features as any other player, as these coordinates serve as the seed for the planet's topography and environment. Why does this look like a scam? The dev has certainly had a decent history on the app store. Radzone was pretty well liked here. 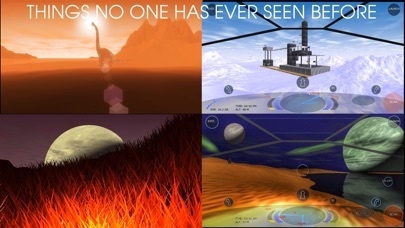 Some of his games date back to 2010, and many have received multiple updates since their release. This looks like cheap no mans sky. Even the hud is similar. 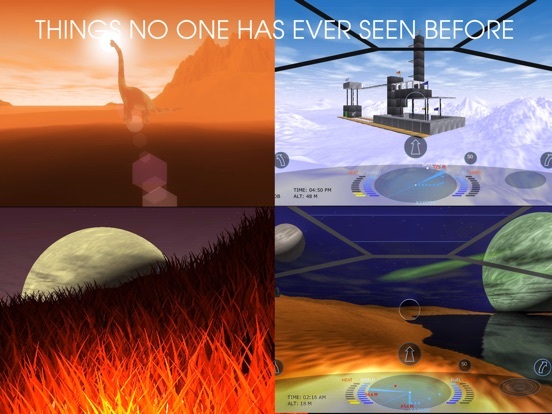 that would be neat if we have something like No Mans Sky on iOS. Hud reminds me of elite, and game seems like elite frontier where can go down to planets surfaces. We must remember that elite frontier, came on 1 (or was it 2?) 1.4mb floppy discs.... And yet contained thousands of planets that you could go down to and explore and dock at. It's really hard to use. I bought it but I'm having trouble figuring it out. You can descend to planets but it's just a static screen and you can basically scan the 3D image for resources. You can also land on stations where you can theoretically recover your fuel, and buy and sell goods from station to station. I haven't yet figured out how to access the plot yet though. Looks like ship designs use basic graphics, so maybe it is genuine and is actually 26mb. Must use a online database if discovered planets, can be visited by other players. Wonder if this is also multiplayer? I don't know why they didn't put a gameplay video on the App Store along with the photos, but I really want to see it in action before I buy. And is the HUD supposed to be the cockpit or is it just information? And I imagine there's no behind the back view, right? Is the final install size quite small too? Looking at the other games from this dev, I don't have much hope for it. Even if it is randomly generated worlds as the app description claims, I doubt they're inhabited by anything. Edit: Just noticed someone tried it, but doesn't sound like they bumped into any life on the planets? I'd be okay with that. Personally, I'd love a No Man's Sky lite, where you can fly, dock, land, but have little to do. For me, the mere travel is relaxing. But if the controls aren't great, or the travel isn't fluid/intuitive, then I'd definitely wait for Drifter or try Stellar Wanderer. I guess I hope it shows up on YouTube eventually. But not being able to find even a developer vid makes me more hesitant. Thank you for the nice explanation! Have you been enjoying it? And during docking/launching do you see watch the entire process through your nomad cockpit view? Or is it from a different camera angle and/or a shortened experience? Meh...sounds kinda boring if it's just exploration. And unfortunately Stellar Wonderer isn't quite scratching my space combat desires. Why can't we get a Rogue Squadron type game on iOS? Quite interested in this. Internet connection is not required I assume?